Another lunch out of my rut! 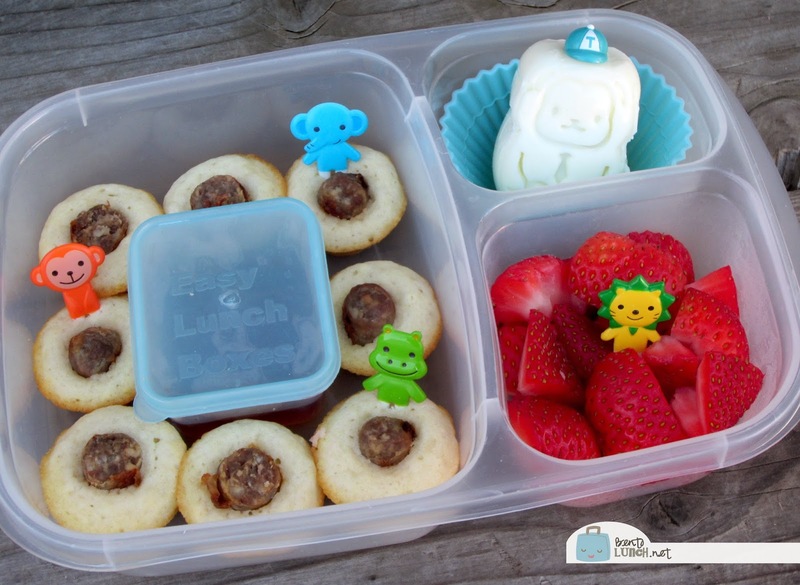 This time, I had an idea for mini pancake & sausage muffins (recipe to come) and figured the kids would enjoy those for lunch. I love when lunch ideas I see in my head actually work out with actual food! Both kids took identical lunches, 8 of the mini pancake sausage puffs (these are small, one sausage yielded 4 puffs), along with a side of syrup to dip them in, sliced strawberries, and a cute hard-boiled egg. I had some fun mixing and matching the picks and boiled eggs. For the eggs, I used the CuteZcute Animal Palz Egg Press to make different egg shapes for them, then the picks went with the egg theme. Ben took the monkey egg with some other jungle themed picks, while Faith took the panda egg with matching panda picks. Aren't the eggs cute? 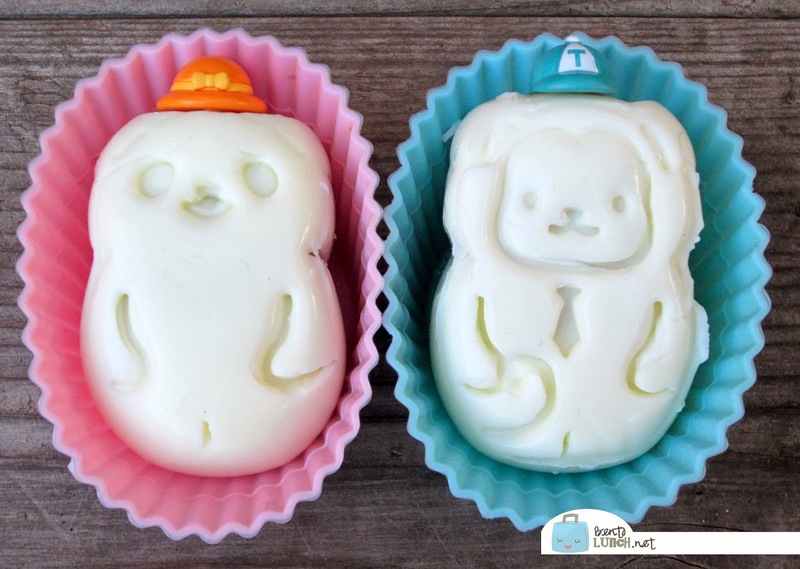 They were so easy to make too, just like regular egg molds. Boil the eggs, peel while hot, place in the container, select your animal press, seal it and chill. Besides the panda and monkey, there's a sheep and a bat we need to try next! Lunch is packed in our Easy Lunchboxes, and features yogurt, granola bars, and cheese for snack times. 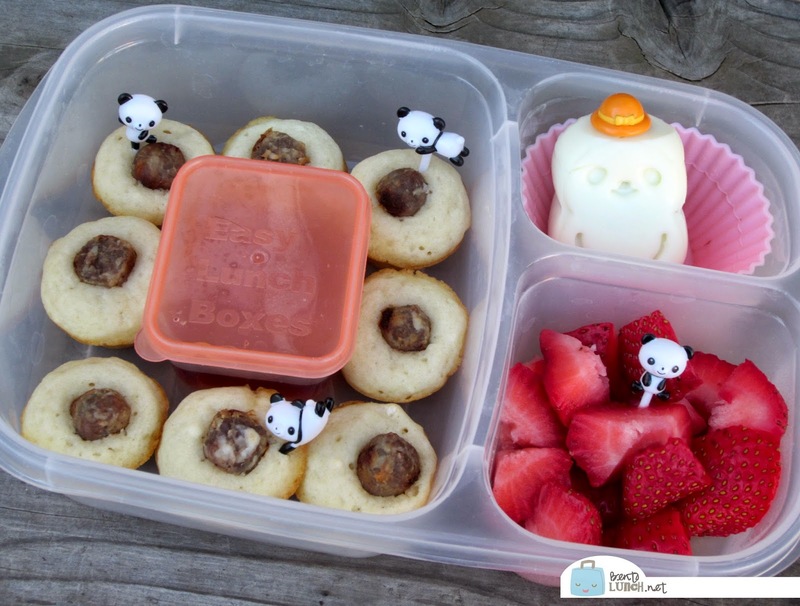 How do you make the mini sausage pancake puffs? Thanks!